The number of blogs competing for attention on the internet is staggering, and many blog owners put a lot of hard work into attracting new and recurring visitors by increasing the number of their posts. They also form relationships with their audience by responding to feedback and comments in an attempt to gain regular readers. However, these efforts are no longer enough to increase site traffic and visibility. Blog owners need to strengthen their online presence by leveraging expert bloggers in addition to these more common methods. Expert bloggers are those who have already established themselves in their industry or online niche as an authority. These include authors, consultants who are invited to give speeches or interviews on relevant topics, and popular bloggers who have a reputation for consistently producing high quality content. These types of people are important figures, and having them as guests to post content on one’s blog will bring significant benefits. 1. Conferences or live events. Attending conferences and live events related to your niche are the best ways to meet experts. Bloggers can conduct on-location interviews with their favorite experts and then post it on their blog. As a result, site traffic will increase as the blog becomes more noticeable to viewers. 2. Interviewing an author. Experts who have published material in a similar industry often agree to be interviewed, which can be beneficial both to the blogger and the author. The author wants to promote and publicize their books to as many people as possible, and the interview can be viewable as a video or can be transcribed and posted on the blogger’s site in text format. Not only can the interview help to provide refreshing content, but it will also increase the blog owner’s credibility. The audience will have a pleasant experience viewing or reading the content, which will lead them to express their appreciation by leaving great feedback. 3. Inviting an expert as a guest post. Many bloggers subscribe to Real Simple Syndication, or RSS, to obtain content from a specific expert. Blog owners also become fans and followers of their social media, such as Facebook and Twitter. When they are looking for a guest for their blog they will contact and invite these experts. By having experts write content for their blogs, owners give new voices to their blog, which helps to differentiate their blog from others. 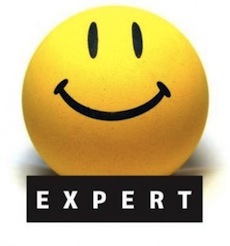 Having an expert post on their blog also entices the audience stay longer. Additionally, viewers may share this content with their friends and followers on their social media pages. 4. Use the power of the search engines. The major search engines, such as Google, Yahoo and Bing, will make it easy for bloggers to locate experts. These experts usually have exceptional blogs or websites. The blog owner can write a review about the topic posted by the expert in his or her blog. As a result, the expert will provide feedback or respond. This will increase the reputation of the blog owner. 5. Access the experts. Experts who are active on social media sites are easily accessible. It is easy for bloggers to learn more about the expert’s traits and personality. This will be helpful in finding a strategic partner. By collaborating with an expert in the topic of the blog, the popularity of the blog will increase. When experts contribute high quality content to a blog, the blogger’s power to draw an audience will increase. Furthermore, their ability to attract these experts is validated. Not soon enough, the blogger’s site will attract reputable websites and other bloggers. They will refer to the blogger’s site and, as a result, the number of inbound links increases. At this stage, the search engines take notice and view the blogger’s site as popular and high in authority. When this happens, the blogger’s site will be ranked higher in the search results as compared to before leveraging the input of the expert bloggers. In conclusion, having an expert provide remarkable content will strengthen the blog’s online presence, and establish its owner as a thought leader in his or her industry.